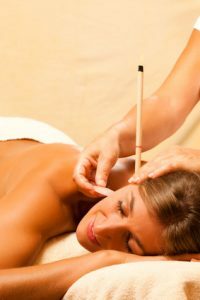 Hopi Ear Candling (Thermo auricular therapy) originates from the Hopi Indian tribe who were renowned for their knowledge of healing and the spiritual life that they pursued. The candling ritual was used to cleanse and harmonize the body. Today thermo auricular therapy is used with success to treat problems in the ear, sinus and head area.